Now for small fleets and dispatchers! BigRoad Freight keeps getting bigger! Offering the shipments you can find in the top load boards, but also offering exclusive freight from major shippers and 3PLs. 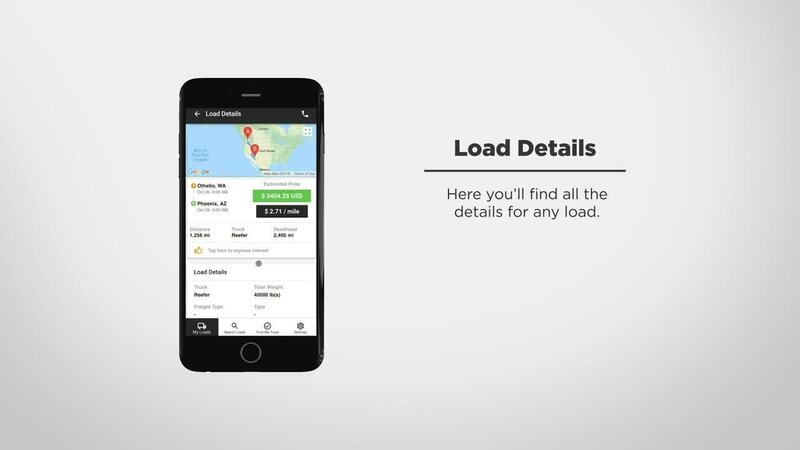 In the past year, we have brokered millions in freight to our customers, and hundreds of thousands of loads, helping them stay profitable and avoid empty miles. Putting You Back In The Driver's Seat! 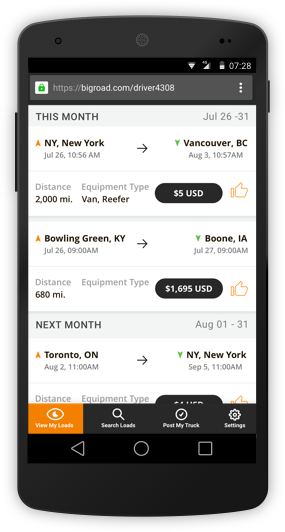 functions to book more loads, fill more back-hauls and make more money. Every 5 minutes, we're re-building a personalized load board for you. Based on where you are, where you're headed, and what we've learned about you, we create a list of your Top 10 shipment opportunities. 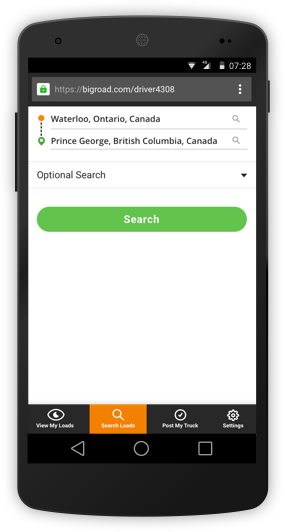 'Search Loads', and enter your desired pickup - We'll give you a list of shipments ready for pickup right now! 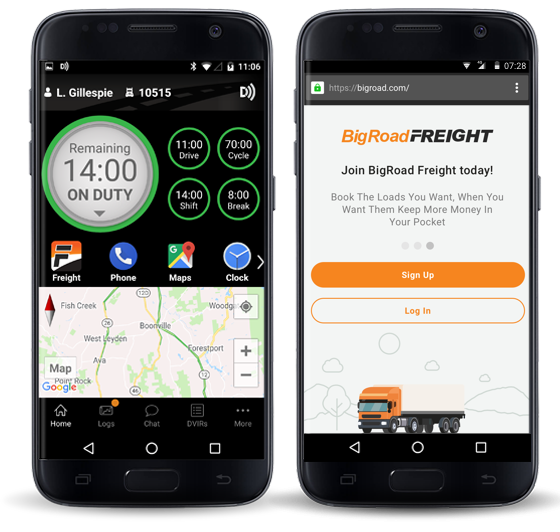 BigRoad Freight offers thousands of new shipments a day that include Fortune 500 shippers. 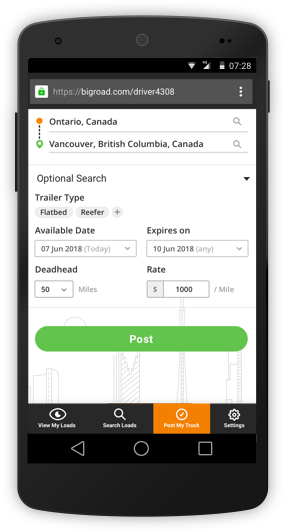 Use 'Post My Truck' to indicate your availability. We'll find a shipment for you in no-time! You're busy! You have loads to pickup, and loads to deliver. Put us to work for you.